We were all saddled with a bit of an unsatisfying feeling with the way 2016 left us boxing fans. That lackluster year saw a controversial decision by judges in the Sergey Kovalev vs. Andre Ward bout, a world champion in Saul "Canelo" Alvarez, who relegated his belt instead of facing Gennady "GGG" Golovkin and finally, the death of great boxing icon Muhammad Ali. 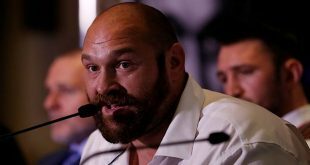 Let us look ahead at three great possibilities that 2017 might bring to the sport of boxing, which desperately needs an adrenaline boost. Alvarez will reportedly fight Golovkin at 160 lbs in September. 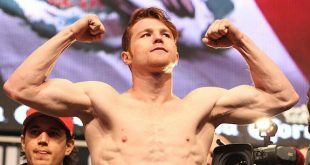 Alvarez's promoter, Oscar De La Hoya, has promised ESPN and other media outlets that this fight will happen in 2017 and although the word of a boxing promoter is never a guarantee, the promise of an enormous amount of pay-per-view buys likely ensures this pairing will happen. 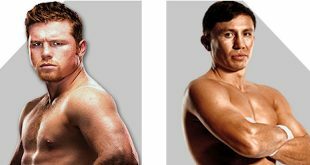 The days of De La Hoya's Golden Boy Promotions ducking "GGG" are numbered, and rightly so, because this sport should have the best facing the best, albeit at a catch weight, instead of who gets the most cash from this fight. Kovalev and Ward will renew their battle in the ring, which will even the score. The result from their first encounter really hurt boxing and exposed the sport as a mockery when it comes to judging. This rematch needs to happen and a fair result should see Kovalev’s power win out against Ward. This fight will only happen if Ward decides not to retire or if he gets the money he wants from HBO. Let’s hope that Ward values his legacy more than his bank account. 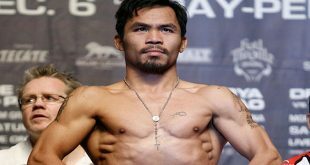 Floyd “Money” Mayweather Jr vs. Manny Pacquiao II will happen and this time it will be a closer fight. This prediction might be more of a long shot, but lets face it, half a billion dollars was generated from their first encounter and both fighters seem to be open to the possibility. There is no way a second bout between the two will bring in as much money as the first, but it will still be an immense payday for both fighters. Whether these predictions happen or not, let’s hope for a great year for boxing, which, let’s face it, needs it after the year the sport has had. Not to mention the rise in popularity of UFC which is making better numbers than boxing.